REDWOOD CITY, CA--(Marketwire - April 19, 2010) - Zazzle, the leader in on-demand retail manufacturing, today announced that just in time for Mother's Day, it has expanded its partnership with Hallmark Licensing, adding fourteen new online shops related to special occasions and Hallmark's most popular characters. Hallmark joins other top brands like Mattel, the Walt Disney Company, Star Wars and the Library of Congress in setting up a significant presence in the Zazzle marketplace to take advantage of the platform's unique on-demand manufacturing technology. As a company respected around the globe for helping people to communicate, celebrate, and connect for nearly 100 years, Hallmark expects its new Zazzle stores to increase the visibility of its unique and extensive library of original content. Through this partnership, some of Hallmark's most popular content is now available for purchase on mugs, t-shirts, posters, postage stamps, and dozens of other products. By leveraging Zazzle's proprietary technology and on-demand manufacturing capabilities, Hallmark is easily able to expand its vast creative content library into a myriad of merchandise options. 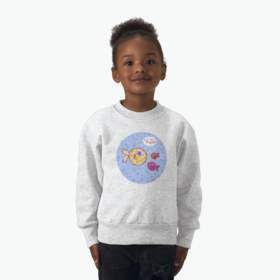 Rather than create a single Hallmark store on Zazzle, Hallmark has set up fourteen new unique stores based on some of its most popular characters like "hoops&yoyo" and "Asteroid Andy," as well as the year's most popular occasions like Mother's Day, weddings, and graduation. To celebrate the expansion and inspire users to create unique gifts for their own mothers this Mother's Day, Zazzle is offering 20% off on all Hallmark products during a special promotional period where users are encouraged to create an original Japanese haiku poem as part of their custom Hallmark product. The "Haikus for Moms" campaign kicks off today and runs through May 9th. Shoppers are encouraged to visit http://www.zazzle.com/hallmarkmothersday and put their haiku on a custom Hallmark product. Birthday - 40 fun and unique product lines from "Sweet 16" to "Trick Candles"
"Our new partnership with Zazzle adds immediate value to our business with little to no capital outlay," said Jodi Schade, VP Hallmark Properties. "On-demand customized manufacturing is increasingly popular in the gift industry, and as we get closer to Mother's Day and the summer, we're glad to be partners with the industry leader to make these great new products available to consumers." "Zazzle is excited to collaborate with Hallmark, a true brand icon, to unlock the full potential of Hallmark's treasure trove of images and designs," commented Jason Kang, VP of marketing with Zazzle. "Customers now have the ability to browse, customize, and purchase top-quality merchandise for the perfect gift or product for Mother's Day, for any other occasion, or for themselves. 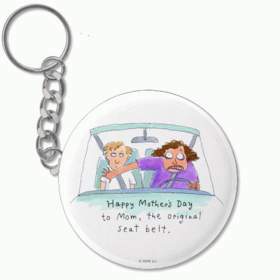 The Mother's Day shop is expected to attract considerable traffic in the upcoming weeks, and the shop for Maxine, Hallmark's most recognized line of humorous designs, should also be a top destination." Visitors to Zazzle can now access the new shops at www.zazzle.com/hallmark, and can easily customize any of the thousands of new Hallmark licensed products with their own images and text. Most orders will be produced and shipped within 24 hours. Zazzle is the world's leading platform for quality custom products. Zazzle's proprietary technology enables individuals, professional artists, and major brands, including Disney and Hallmark, to create and offer billions of unique products for customers worldwide. 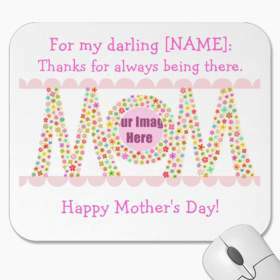 Zazzle's rapidly expanding product base covers every topic imaginable and includes Mother's Day gifts, custom shirts, business cards, and invites, in addition to a variety of other gifts. Upon creation, products are instantly and accurately visualized on the site and offered in the Zazzle marketplace. When ordered, each product is made on-demand, typically within 24 hours. Launched in 2005 and based in Redwood City, California, Zazzle's vision is to redefine commerce, powered by the world's imagination. Zazzle global sites are www.zazzle.com, www.zazzle.co.uk, www.zazzle.com.au, www.zazzle.ca, www.zazzle.de, www.zazzle.fr, www.zazzle.es, www.zazzle.pt, www.zazzle.com.br, & www.zazzle.co.nz.